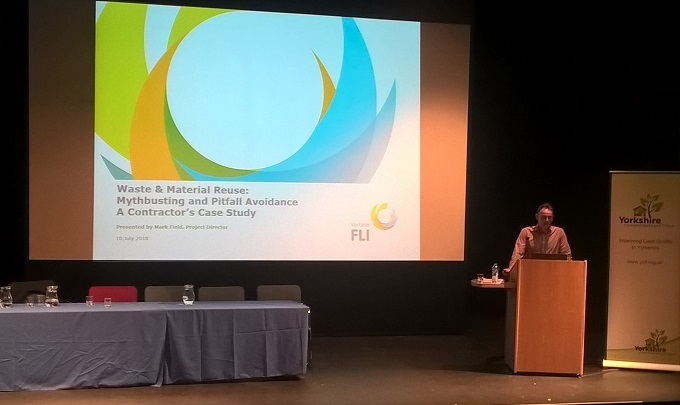 Vertase FLI Project Director, Mark Field, delivered a thought provoking presentation on our experiences of landfill remediation within the context of waste legislation and the Environmental Permitting Regime at the Yorkshire Contaminated Land Forum (YCLF) Summer Conference in Leeds. The event, which was extremely well attended by consultants, contractors and Regulators (circa 200 delegates), included an engaging audience led panel discussion with the conference speakers where some of the points raised by Mark were hotly debated. We extend our thanks to the YCLF Steering Committee for organising an excellent event to facilitate the dissemination of our own experiences and indeed those of others in the context of waste and material re-use.